At least part of that future, according to founder and CEO, Evan Spiegel, is tied to augmented reality. That's why when rumors surfaced that Snap might release an AR version of its Spectacles by the end of 2018, there was some hope that the company might end the year on a forward-looking note, rather than continuing to wade through uncertainty. Well, that release never happened. Which gives us the perfect opportunity to examine what, exactly, the current version Spectacles offers and what it may portend for a future in which Snap is one of the few AR smartglasses on the market targeting mainstream users. To do this, I snagged a pair of the latest version of Spectacles, the Nico model. The device looks like a slick, fashionable pair of super-powered Ray-Bans, without the yellow circles highlighting the side-mounted camera and indicator light, and sans the now very recognizable Elton John meets Lady-Gaga circular frame shape. In short, the Nico version of Spectacles (released along with the Veronica model), is mostly indistinguishable from a normal pair of shades, unless you look closely. Since the current version of Spectacles doesn't have the ability to display AR content on any level, I was mostly interested in how the public would react to a person wearing a pair of "not quite smart" glasses, with the ability to record them at all times. The reason this is important before we even get to ubiquitous, truly smart AR glasses, is illustrated through the saga of Google Glass. Aside from the Star Trek Borg look, which led to the nickname "glassholes" for those who spent $1,500 to wear the device in public, it quickly became apparent that people didn't like the feeling that they were being watched and recorded with the "creepy" device. I've always been a little confused by this particular thread of the Google Glass story. Sure, in 2013, when Glass was getting its first moment in the sun, smartphones with cameras were still in the process of becoming the norm, but there were still a large number of people fairly accustomed to being photographed by a stranger's smartphone in public. So what was it about Glass that was supposedly so creepy? I think it came down to the fact that it just looked too technical. Too geeky, if you will. When I imagine a sci-fi spy movie in which a supervillain has me strapped to a medical table in his lair and tells me he's going to extract my memories by beaming a laser into my eyeball, I wouldn't be shocked if he leaned over my struggling body and looked down at me with something that looked a lot like Google Glass. The very design aesthetics of the device make you feel like you're under the microscope, even if you're 10 feet away, standing in a public place. Wearing the Nico version of Spectacles in public doesn't feel like you're helping Snap experiment with its business model. No. These are actually cool shades. That's the hurdle Spectacles needed to clear to be accepted. But unlike Glass, the initial purpose of Spectacles was much simpler: allow users to record short videos via a wearable device and then share those videos on Snapchat. When Spectacles were first released in 2016 (back when Snapchat was a bit more popular), there were literally crowds forming to buy the device whenever the company announced a new Spectacles kiosk (or Snapbot) location. I'll never forget riding home in Manhattan just before Christmas that year and seeing a line snaked around one midtown block as scores of Snapchat fans lined up in 30-degree weather, in the dark, to get their hands on the $130 device. Alas, the initial hype and excitement didn't translate into actual sales — which explains why I haven't seen many pairs of the original Spectacles on the streets of New York, LA, or San Francisco. According to the company, only about 220,000 were sold, forcing the company to take nearly $40 million write-down due to unsold inventory. Snap took another shot at it in 2018 with the release of a newer version of the device, Spectacles 2, which kept the same shape, with a thinner body, but did away with the yellow ring around the camera. Priced at $150, and boasting water resistance, faster video transfers, and the ability to take photos as well as video, the device (which CNBC called "silly") hasn't exactly become a common sight on the streets either. But then something interesting happened just a few months later: Snap unexpectedly released two new, significantly more stylish versions of Spectacles (Nico and Veronica), priced at $200. Paying that much for a wearable camera device, whose previous two iterations weren't incredibly popular, might seem like a lot — until you actually hold a pair in your hands. These feel like a premium pair of shades (this is coming from a shades fanatic with ten pairs of normal shades sitting on my shelf at home). Wearing the Nico version of Spectacles in public doesn't feel like you're helping Snap experiment with its business model. No. These are cool shades that you'll like wearing even if you have no plans to take photos and videos. Beyond the great design and build quality, what makes the device easy to wear is the subtlety with which the camera sits on your face. After wearing the Nico for weeks on crowded New York streets, in business meetings, and in coffee shops, I've only had a few occasions upon which someone did a double take and either looked at my Spectacles with special interest or asked me "what are those," after discerning the camera housing in the frame. "Everyone noticed, but they were all just being polite," one might say. That's possible, but then again, I wore the glasses in New York City, a place where it's not unusual for a stranger to walk up to you and give you Project Runway level critique of your look. Trust me; most people didn't notice. Which made me wonder: Is Snap breaking the social contract that the Glass fiasco indicated we were supposed to adhere to? That is, if you're wearing camera glasses, people should know. Don't be sneaky. Right? Well, it's kind of hard to be too stealthy with the latest Spectacles because it still has an animated ring of lights that go off whenever you're shooting footage. And then there's the fact that the camera isn't voice activated (yet). Instead, every time you want to shoot footage, you have to raise your hand and press the button on the side of the frame, a motion many pedestrians took as an attempt by me to get their attention since it looked like I was motioning "hello." Those two subtle points were just enough of an indicator that taking surreptitious footage without anyone noticing was pretty tricky most of the time. Once I got over my own shyness about taking photos of random people in public without asking, I got a little carried away. I. Recorded. Everything. The combination of the stylish design of Nico Spectacles, along with the ease of camera use, makes recording video (and audio via its dual-microphone array) a bit addictive. And what's most intriguing to me (someone who doesn't use Snapchat a lot), is the ability to download the recorded HD footage to your smartphone, edit it, and then share it however you like. Snapchat built a gateway to exit its walled garden, and it was a great move. After I realized how simple yet powerful this non-Snapchat-centric workflow was, I was baffled as to why more people aren't wearing and using these. And taking a look at the full Snap corporate picture, and the wearables market as it stands, I think I have a couple of answers. When was the last time you saw a billboard, web ad, TV commercial, celebrity endorsement, tweet, Instagram post, or other marketing promoting Snap's new fashion-forward version of Spectacles? I'm not saying they don't exist, but if they do, I haven't seen them. If you build it, they will come, isn't a great strategy in a time when our attention is being pulled in more directions than it ever has. Apple is probably the only tech company that can afford to release a product with no aggressive advertising, and yet Apple is still one of the biggest and most innovative marketers in tech. Remember, the Apple Watch launched via a multi-page spread in Vogue. By far, the most frequent comment I get from people when they're asking me about the Nico Spectacles is: "Wow, I didn't know they had these." In general, $200 isn't an outrageous price to pay for shades in the US for most middle-class consumers. But usually, that price tag includes a brand/logo that the wearer either trusts or is loyal to. Snap should have co-branded the Nico and Veronica with an existing brand like Ray-Ban, Gucci, or Persol. Pairing with an existing player in the shades space would have dramatically expanded the footprint of Snap's latest Spectacles models. When you can buy camera glasses on Amazon for $50, what you're really selling is style and brand quality markup. But selling the public on Snap's fashion pedigree could, at least initially, benefit from a boost from an established player in fashion. If Snap can address these issues, it might have something approaching a popular product on its hands. The seeming lack of attention paid to the aforementioned areas could be a result of the company's rapidly shifting executive team, which makes it difficult to focus on a singular vision for any product. Or it could mean that Snap's AR version of Spectacles is closer to launch than we think, and the company just wanted to push out the camera-only versions quickly, before the real fun begins. Either way, what my cultural experimentation with Spectacles tells me is that people are ready for mainstream AR smartglasses. Canadian startup North's big bet on brick and mortar retail locations is one indication of just how ready the public might be, but very few people know who or what North is. Almost everyone, including those who've never used Snapchat, knows what Snapchat is. If the AR version of Spectacles is close to ready to ship, now is the time launch, before Apple's rumored AR smartglasses device hits the streets sometime in the next 24 months. 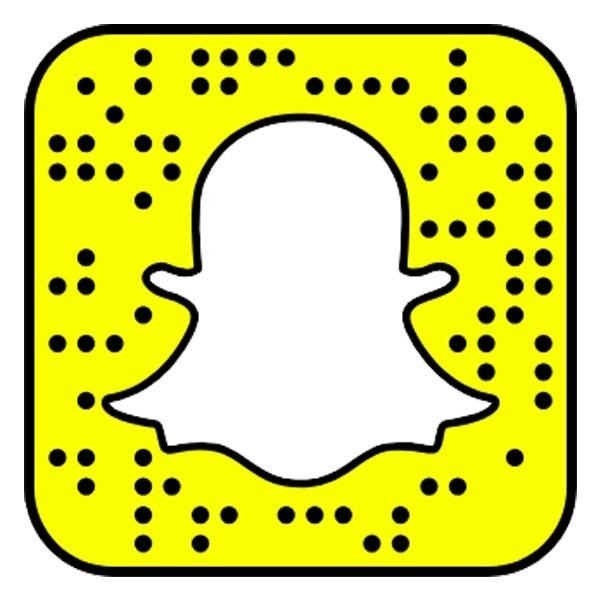 If none of the previously noted issues are hurdles for you, and you can't wait for the AR version, but you're still on the fence, Snap even has an AR tool, via Snapcode (below), that you can use to see how you'll look in either the Nico or Veronica models. Regarding Spectacles' AR smartglasses future, the importance of cultural/consumer sensitivity cannot be overstated. Design (I never even considered touching version one or two), interface (a side tap on the arm of Spectacles displays a battery life indicator, but could also control future functions), and gauging the public's comfort (people love them, and keep asking me how to get a pair) are all part of the story. Getting these things right in the camera-only version of Spectacles is a critically important precursor to making the AR smartglasses version of the device successful. The good news for Snap is that its platform agnostic, fashion-forward approach to the latest Spectacles proves they've learned a few good lessons over the last couple of years. If they can take all those learnings and bake them into the AR version of Spectacles, 2019 will get very interesting, fast. Why we need spectacles for everything. I just need something non wearable, even for 3D we can implement something just on screen rather than wearing 3D glasses.